Did you know that eye gel pads can get rid of dark circles? What’s more, is that you can actually make your very own eye gel pads using only a few ingredients you probably already have in your home! 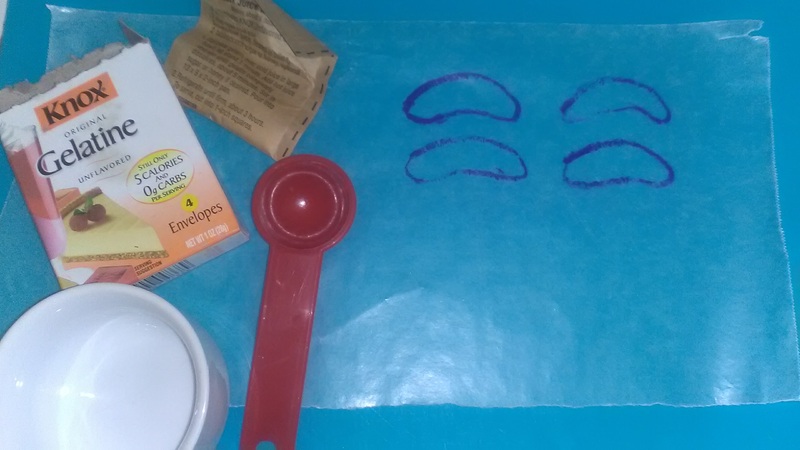 Coffee eye gel pads can cost you a lot of money, so making your own will save you a ton and they’re actually pretty fun to make! Coffee has long been known to reduce dark, under eye circles, as well as get rid of dark spots, scars, and cellulite. 2 tbsp freshly brewed hot coffee. This is important because the coffee needs to be hot in order for the gelatin to melt! On a sheet of parchment paper, use a pencil or marker to draw out the pads. They should be just big enough to cover the area under the eyes. Add the gelatin to the hot coffee and stir until well incorporated. Pour the gelatin mixture over the drawn out pads, trying to contain the mixture to the pads. Once the coffee and gelatin mixture have set, cut out the drawn pattern. Place directly underneath the eyes and leave on for 15-20 minutes. For an even more intense effect, you can leave it on for an hour. The coffee works to remove dark, under eye circles, all while moisturizing and refreshing the skin. You can store the eye gel pads in an airtight jar or container in the fridge for a few days. For super refreshing pads and to de-puff tired eyes, stick the pads in the freezer (in a ziploc bag) for a few hours, and place the ice cold pads underneath the eyes. You’ll love the sensation! If you like this post, don’t forget to share ?